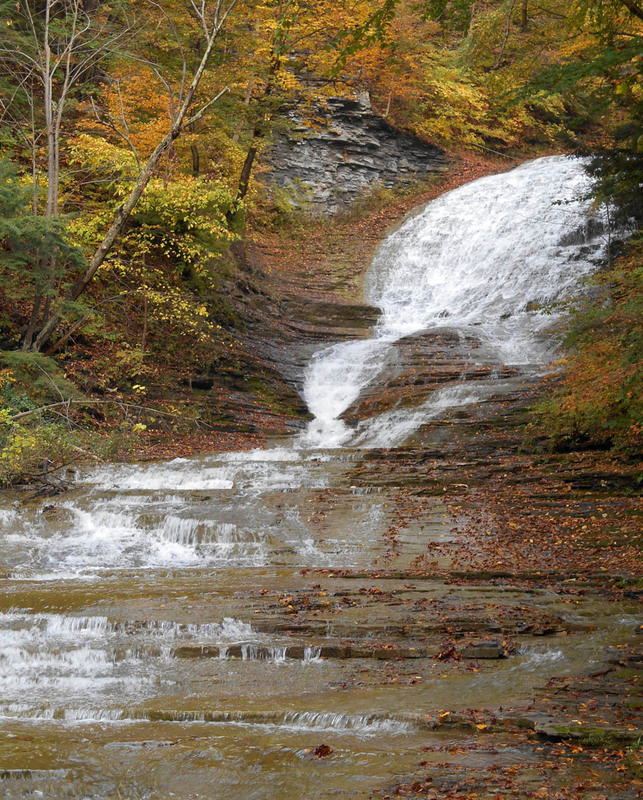 Aside from the beautiful Taughannock Falls State Park where I have been parked for the past two weeks, I also ventured out to visit two of the other three State Parks developed around gorges, all within less than 30 miles from Ithaca. 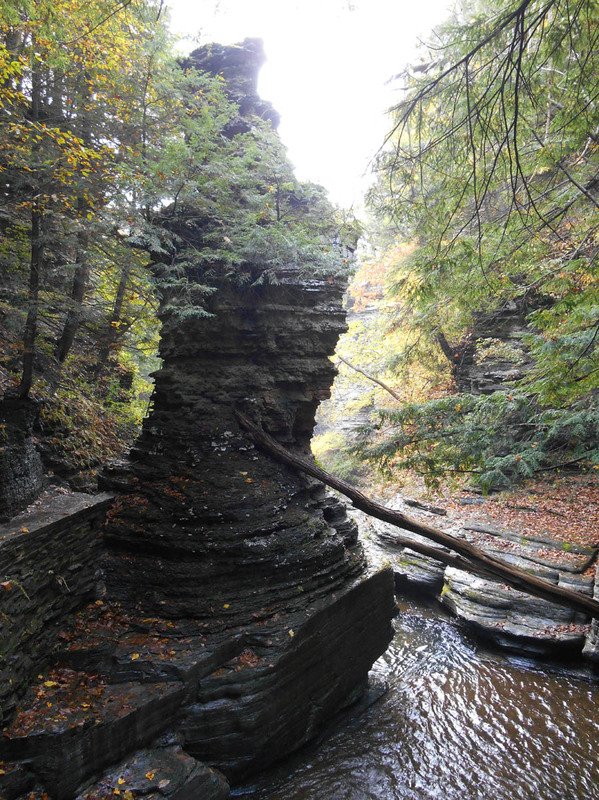 The gorges were formed due to expanding and contracting glacial activity millions of years ago, compounded by the soft composition of sandstone and shale, both highly susceptible to erosion. 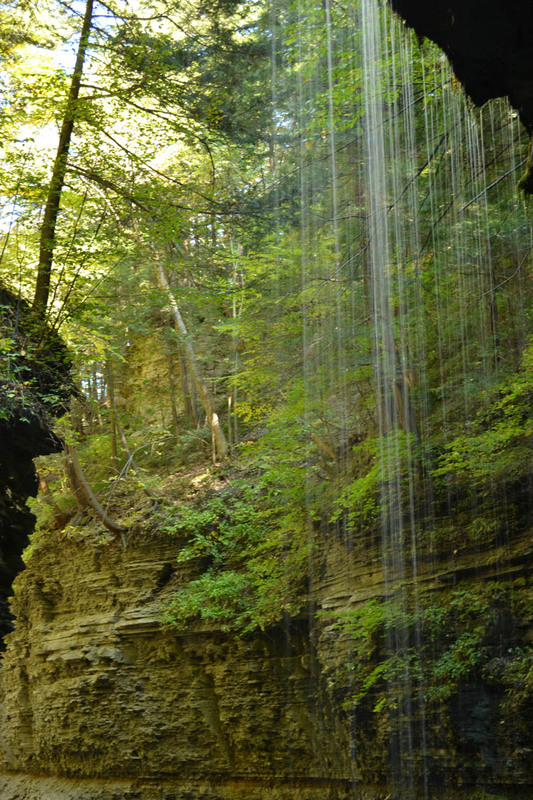 The freezing and contracting of water in the cracks or “joints” accelerates the erosion process which over thousands of years has revealed spectacular geographical sculptures of mosaic rock, pristine naturally carved pools, and gently flowing cascades that tumble their way across the uneven surfaces, producing soothing sounds that cleanse and smooth the rough edges of the psyche as well as the surface. 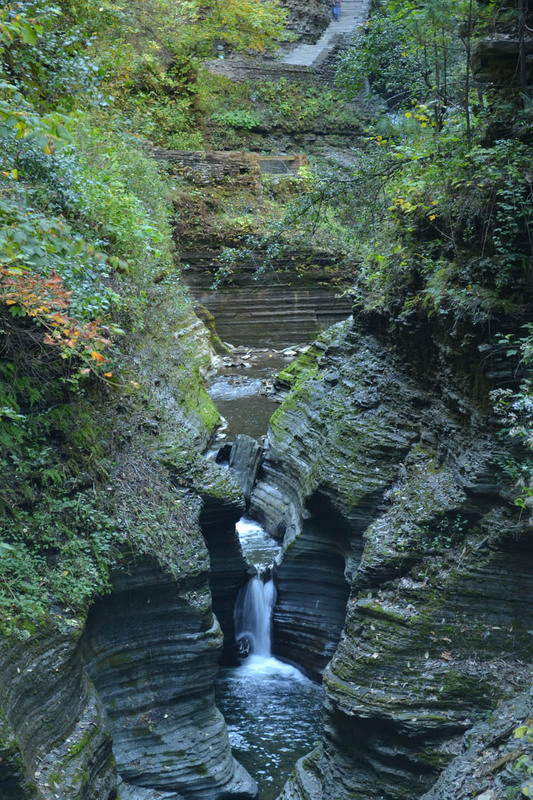 Of these “gorge-ous” State Parks, Watkins Glen is the most famous, and rightfully so. 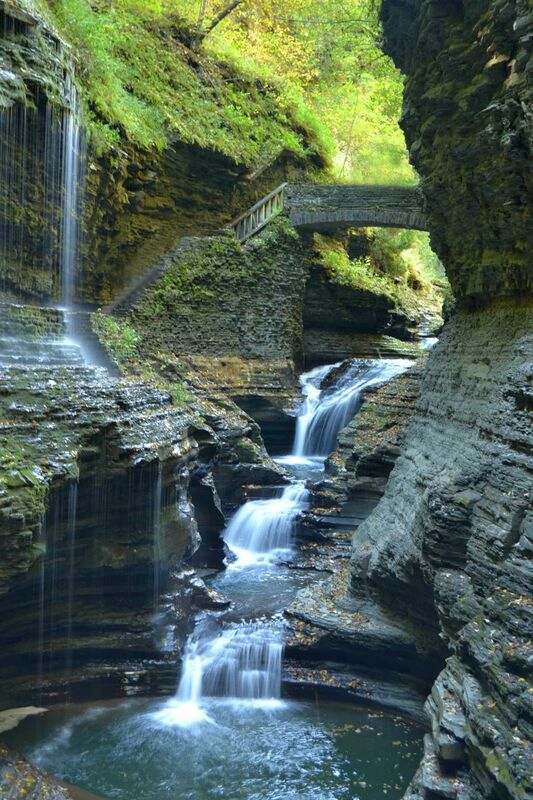 Two miles of trails, or stone walkways wander through the Watkins Glen Gorge beneath 200 ft cliffs on either side. 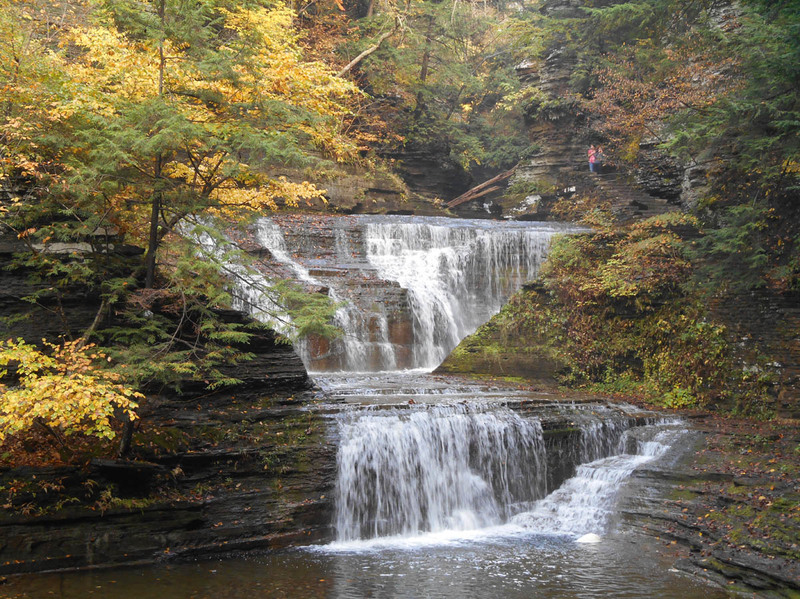 There are reportedly 19 waterfalls along the Gorge Trail, some you can actually walk behind. 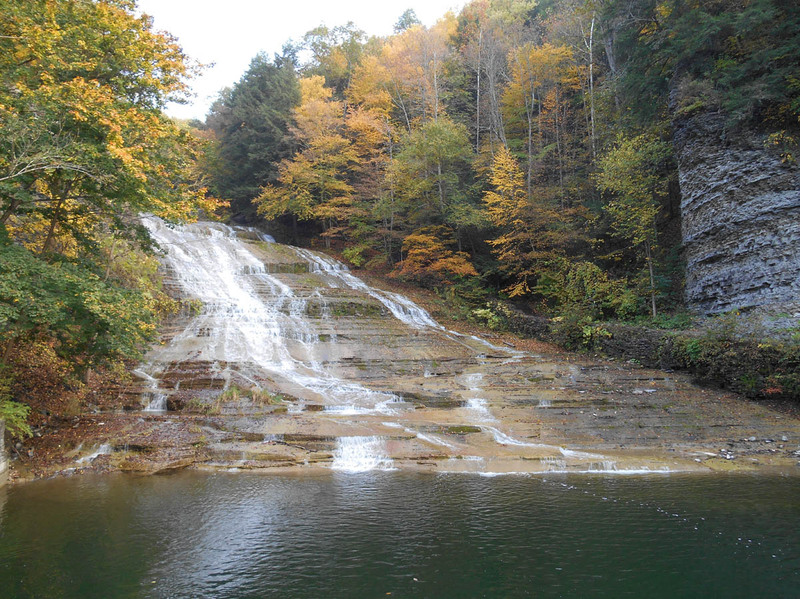 Not too shabby by comparison is the nearby Buttermilk Falls State Park, just minutes outside of Ithaca. 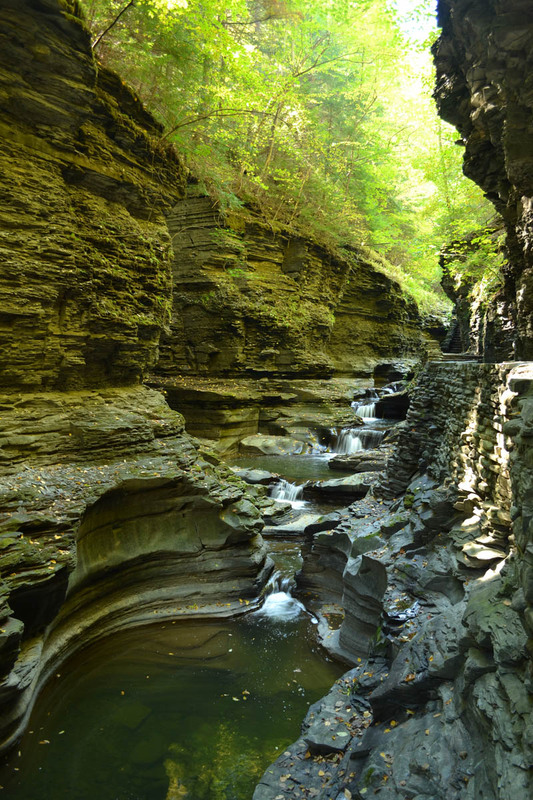 Like Watkins Glen and Taughannock Falls, it is another park positioned alongside a gorge with a well constructed walking path. In both cases, the stone masonry is almost as beautiful as the gorge walls themselves. 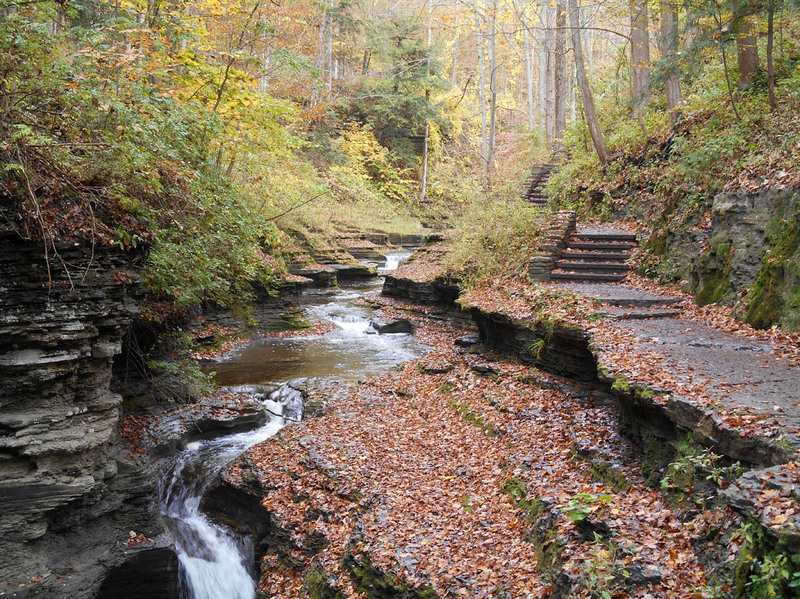 Like Watkins Glen, this is another gorge with a pretty steep elevation change, dropping 700 ft from the upper trail head to the main park office below. There is no shuttle bus at this park, but you can walk down the stairs alongside Buttermilk Creek, and take the Rim Trail back up. The Rim Trail is still quite a steep climb at first, with mostly wooded views, but a whole lot easier on the knees than 600 stairs. Both of these areas are pretty heavily touristed sites, being located right in the center of town. However, they still offer stunning scenery, soothing sounds, and awe-inspiring rock formations, even if some of them do happen to be man-made! 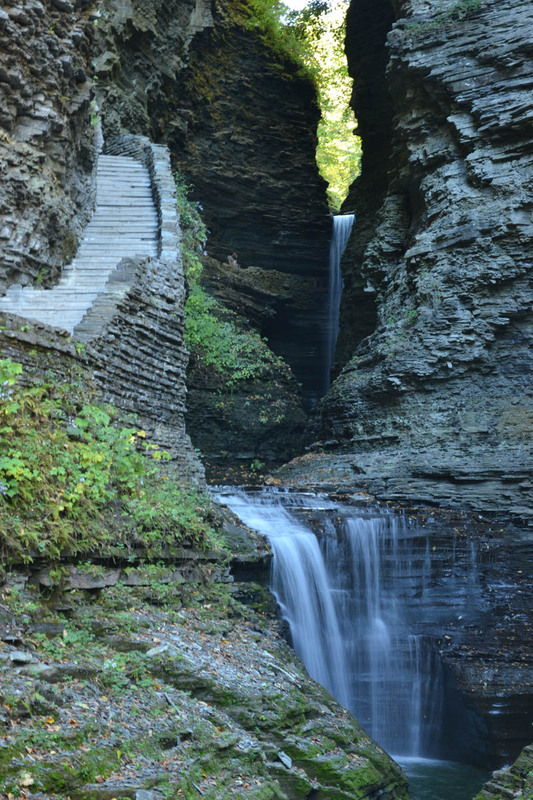 This entry was posted in New York, State Parks and tagged Buttermilk Falls State Park, Finger Lakes Region, Watkins Glen State Park by Suzanne. Bookmark the permalink. 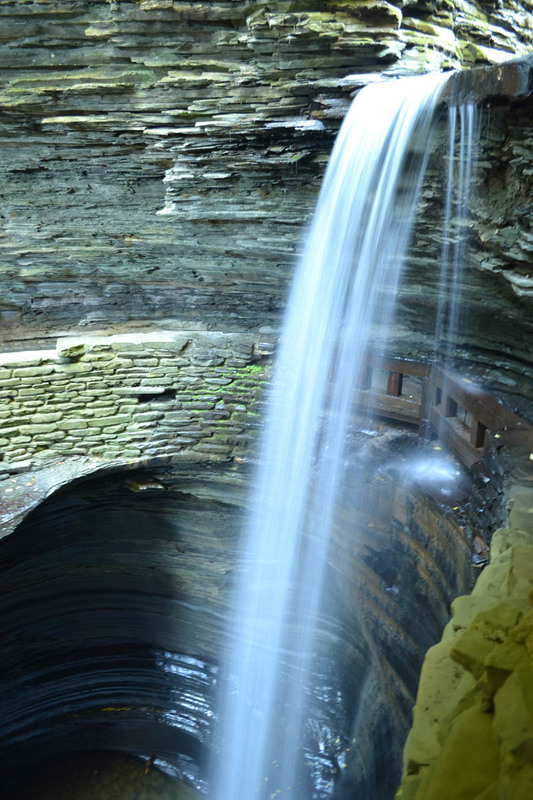 I’ve always heard about Watkins Glen – now I know why! Your photos are just stunning. Do you mind sharing what equipment you use? What about photo software? Such a contrast to the arid west…soak it up. Safe travels “Westward Ho!,” BCB Mark! Send pretty postcards! Kim, there is hope for us both! Nat Geo Traveler published an entire edition of their magazine a couple of years ago shot entirely with a point and shoot camera, just to prove it wasn’t “all about the equipment.” They say it is the eye of person taking the photo, so we will both keep practicing, right? A good excuse to “eye” more trips! haha!